SIOS Protection Suite (SPS) for Windows integrates high availability clustering and data replication functionality to protect mission-critical data and applications. SIOS Protection Suite also integrates with SIOS’ Application Recovery Kits, which provide application-aware agents for SQL Server and Oracle and more enabling you to make more informed recovery decisions. LifeKeeper for Windows provides a fault resilient software solution to provide high availability for data, applications, and communications resources. LifeKeeper does not require any customized, fault-tolerant hardware. You simply group two or more systems and enter site-specific configuration data. Then, LifeKeeper automatically provides fault detection and recovery. In case of a failure, LifeKeeper migrates protected resources from the failed system to the backup system. Users experience a brief interruption during the actual switchover, but LifeKeeper automatically restores operations on the backup system when it completes the failover recovery. Optional Microsoft SQL Server Recovery Kit provides granular visibility into SQL Server so you can ensure your systems are properly responding – not just running. Volume. With LifeKeeper’s volume resource type, you can protect data and applications on shared SCSI peripherals or replicated volumes by creating a resource in the SIOS Protection Suite hierarchy for the disk volume containing those resources. File share. SIOS Protection Suite’s File Share resource lets you protect a specific folder or directory on a shared drive. Computer alias name. SIOS Protection Suite’s LAN Manager Recovery Kit enables automatic failover of the computer alias name for applications that communicate to the server via NetBEUI. SIOS Protection Suite’s IP Recovery Kit allows you to create resources that enable switchover of IP addresses. SIOS Protection Suite’s DNS Recovery Kit provides a mechanism to update DNS A and PTR records. 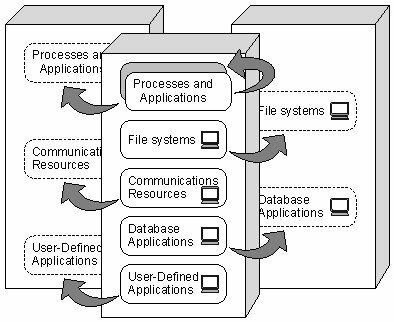 Database application. SIOS Protection Suite provides an optional Recovery Kit for Microsoft SQL Server. Generic applications. SIOS Protection Suite’s Generic Application Recovery Kit allows the creation of resources for an application that has no predefined recovery kit. SIOS Protection Suite supports N-Way recovery for a range of resource types. N-way recovery allows different resources to fail over to different backup servers in a cluster. See SIOS Protection Suite Core Software for the core components available with SIOS Protection Suite.